We provide affordable campervan rentals in Australia for backpackers just like you, grab your friends and book a camper van today and see the sights of Australia. It truly is a wonderful country to see. How long have you been contemplating backpacking in Australia? A month? A year? Perhaps it's your lifelong dream. To turn thought into reality, you'll require a guide that offers the ins and outs of what you can expect should you (and perhaps a friend or two), decide that it's time to stop wishing and start traveling. Identify easy-to-wash clothing in your closet so wardrobe and clothing maintenance issues are handled, take the advice of backpackers who are veterans of Australian walking tours by allocating from two to three months for your trip and borrow the projected budget of about 5,000 Australian dollars suggested by those who regularly sojourn the continent for this length of time and you're off to a great start. For everything else related to Australia travel advice, our guide is your go-to authority! You'll read about weather patterns throughout the year that can impact what you bring along when you gather essentials for your upcoming Australia backpacking trip, but it helps to have a checklist as a starting point. The following suggestions take into account the limited amount of room you may have for an extended trip, so use it as your foundation. Save room by adopting the military style of packing. If you roll up garments rather than place folded separates into your backpack you can maximize the number of items you fit into finite space. Finally, don't skimp when purchasing a backpack for your trip. Test several before making your purchase, don't sling them over your shoulders empty or you won't get a true assessment of how each one feels once it's full. The backpack you choose must feel comfortable and the construction solid if it's to survive rugged terrain, all types of weather and being tossed around in circumstances that could test those seams! You enjoy multiple benefits when backpacking in Australia that can't be said about other nations and continents: the crime rate is low, health care standards are high, just in case you run into problems, roads and trails are well maintained and you needn't worry about the government being overthrown on the road from Byron Bay to Sydney. Does this mean you can abandon all fears and throw caution to the wind? That's not a good idea, because this land is filled with dangers that can be avoided if you heed the following advice. 1. Maintain a modicum of personal security as you hike from place to place in Australia. Secure travel documents, cash and anything of value in a pouch that stores close to your body rather than keeping everything in your backpack in the unlikely event it is stolen, ransacked, falls off a cliff or is otherwise destroyed. Don't disclose anything about your valuables to anyone other than your mates, just to be on the safe side, and if you want to err on the side of caution, stash photocopies and/or jpgs of your travel documents with family back home just in case you need duplicates. 2. Be Sun Savvy. The Australian sun is very powerful, so forget about appearances and don multiple protection as you hike from location to location. Even if it's cloudy, continued exposure can start sunburn, which is why head coverings like scarves, shirts, sunglasses and the highest SPF sunscreen lotion you can tolerate particularly if you plan day-long walks. Frequent re-application of that sunscreen to exposed skin is wise. If you can arrange your travel schedule, avoid mid-day sun when those rays beat down with ferocity and drink sports drinks and water to stave off dehydration which can turn a great hike into a nightmare. If you happen to forget and your feeling the heat just remember the famous Aussie saying "Slip, Slop, Slap!" Slip on a shirt, slop on sunscreen and slap on a hat. 3. Fire in the hole. Like California, Australians are no strangers to bushfires that start quickly and spread with abandon, particularly from late spring to summer. Because this topic is of such concern to Australians, it's hard to miss media reports profiling the riskiest areas, so if these regions happen to be on your itinerary, you may wish to re-route your plans until the risk of fire has passed. Your job as temporary keeper of the landscape is to seek out designated fire areas along your route and pay attention to signs warning campers about areas under total campfire bans. That stated, if you do make a fire, don't leave the area until you are certain every spark has been extinguished. 4. Swim savvy. Like Australia's infamous bushfires, the beautiful beaches surrounding the continent are also fraught with danger, belying their soothing colors and the hypnotic waves that attract surfers from around the globe. If swimming on Australian beaches is on your itinerary, pay attention to multiple signs of strong currents and rip tides up and down beaches under warning. The easiest way to stay safe is to swim between the red and yellow flags set out by lifeguards and if you wish clarification about areas that are not marked with flags, ask beach patrol personnel dressed in yellow and red uniforms to advise you. Some Australian beaches are patrolled only during the warmer months of October to April; others are monitored year-round. It goes without saying that nighttime swimming is at your own risk since ocean depth is determined by tides, winds and other environmental influences. 5. Wild Things. While shark attacks in Australia are infrequent, thanks, in part, to shark netting installed across beaches throughout the continent, climate change has triggered unusual behaviors in marine animals and the risk merits constant vigilance. In addition to staying within red and yellow flags, avoid the ocean at dusk and into the evening because sharks are most often encountered during this time of day. River mouths, tidal basins, pools and mangrove groves are also dangerous particularly if you swim alone or far from shore. Crocodiles inhabit northern Australia estuaries, but migrate, often long distances, in search of food. Some crocodile habitats are marked, but don't count on it. Smaller species can be equally dangerous because Australia is home to an array of snakes, marine stingers and spiders. Marine stingers pervade tropical waters between November and April. To help tourists avoid being stung, stinger-resistant enclosures dot popular beaches. 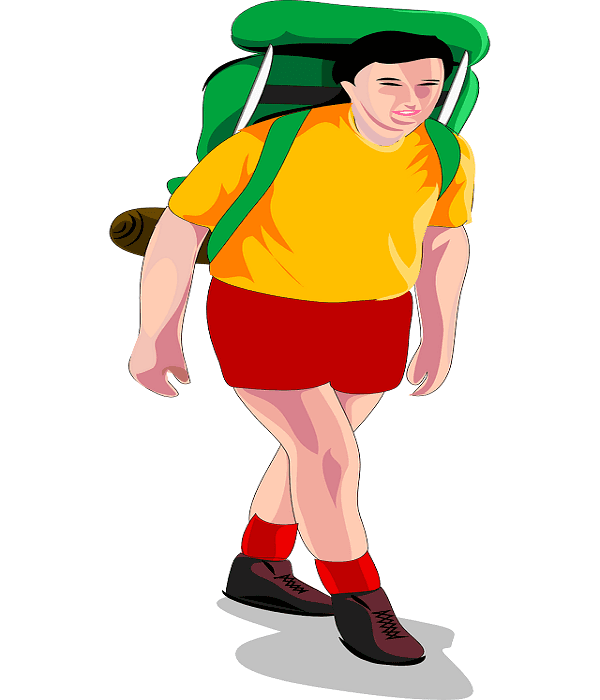 Chances are, your backpack isn't going to include room for protective swimming gear, but you can make sure your footwear has protective features so you can hike and walk the bush without fear of lethal snake and spider bites. 6. Other things to consider. Will you drive a vehicle to get you from place to place, going off on day trips by foot? If so, a GPS, spare tires and extra supplies won't weigh you down, but if your backpacking trip does not involve a vehicle, some campgrounds may be off limits to you. Cell phone reception in remote areas is often nonexistent, so don't count on it for emergencies. Learn to rely upon your instincts and minimize your chances of encountering trouble by being thoughtful, cautious and wary. Additionally, protect your feet, put up with the extra burden of carrying water bottles and don't be surprised if that small first aid kit you packed comes in handy fast. 7. Emergencies in Australia. We already have compiled some emergency contact information on our Cairns campervan rental page for Cairns but for our peace of mind as well as yours we are providing it here too. Your safety is paramount on this incredible backpacking journey around Austrlia. A: Emergency. Here is a useful link with some great resources and remember Austalia's Emergency contact number is Triple Zero. 000 be sure to write this down and save it on your mobile phone. B: Emergency Service Organisations by state. Another useful link is State emergency organisations. C: Lost your passport You can call the call the Australian Passport Information Services on 131232 be sure to check thier website for essential information first if you can. D: Embassy information. If you need to contact your embassy for any reason here is a link to the Australian Government website to assist you. Embassies and consulates in Australia. If you've already been out and about in Australia on a backpacking excursion, or, if a member of your party knows the landscape well enough to suggest an itinerary--it's likely you fell in love with one area and can skip over this section because your destinations are set. On the other hand, if you're a newbie and your familiarity with the highways and byways encompassing this vast continent is comprised of a few magazine pictorials recommending Byron Bay, Sydney and Cairns, stick with us so we can widen your horizons and offer you enough variety to make any backpacker a happy camper. Begin your exploration of Queensland by touring Cairns to check out more than just the reef; natural wonders abound that include myriad scuba-diving opportunities that will get you so close to the coral, you will be thrilled. This area has untold numbers of attractions to keep you engaged if Mother Nature doesn't do the job: Sky dive or bungee jump if you're a thrill-seeker or just stick to terra firma by exploring the West Tropics Rainforest before you set off for Townsville and Magnetic Island. There are literally many things to do in Queensland. Let your hair down on the Island where revelers go to party en mass when there's a full moon if you crave blowing off steam. Make Airlie Beach, a backpacker hub of some repute, your next stop if you didn't get your fill of lively parties on the beach. Airlie Beach blasts are said to last well into the morning, but you need to recuperate fast so you can appreciate your next sojourn to the Whitsundays, a string of 74 lush, pristine islands that could hold you captive for weeks if you try to see each one. Move on to Agnes Water, the 1770 landing site of Captain Cook, Australia's first explorer and settler. Bone up on your history of Australia to fully appreciate Agnes Water and if you finish up and just need some beach downtime without the nightlife, move on to Hervey Bay. Satisfy your desire to whale watch if you walk this area between late July and early November, but if you're backpacking during the remainder of the year, Fraser Island and the southern Great Barrier Reef should make up for a lack of whales, as will the magnificent beaches, perfect year-round temperatures and crystal lakes. That stated, remember our admonishments about tides and sharks if you decide to go for a dip. Once you've satisfied your appetite for reefs, beaches and all-things-flat, a trip to the Glasshouse Mountains in the Noosa area is practically required to experience for yourself the rarified view of the entire Sunshine Coast from on high, but by now, you may need a city experience if only to locate a few amenities like laundry facilities, supply restocking and a bed that doesn't include the bedroll you've been toting for weeks. Find everything in Brisbane, this state's capital. There are over 700 stores at your disposal in Brisbane's central shopping mall, so if you can't find what you need in this bustling city, you probably don't need it. Grab a little time at local pubs and eateries while staying at a hostel (see listings further into this guide) to save money so you leave Australia's third largest (and fastest growing) city with a serious intention to return in the future. Finally, make your last stop in this state at the nation's surfing epicenter: the Gold Coast. Sure, it's a touristy location catering to international visitors in search of the perfect wave, but you can relax, be yourself and hobnob with others who share your disregard for dressing up and being seen. On the other hand, if school's out, you may wish to avoid the Gold Coast like the plague because this is Mecca for graduating Australian teens intent on having the celebration of a lifetime with their buddies. On a final note, if your travelling to the Gold Gast in 2018 be sure not to miss the 2018 Gold Coast Commonwealth games, it going to be a great time during this period and we recommend you take a checkout out our Gold Coast Campervan Hire page for a whole load of further information we have compiled for you. Assuming you are eager to see how New South Wales beaches compare to those you've experienced in Queensland, this state makes a great second area of concentration for backpackers eager to take in as much diverse territory as time and money allow. Byron Bay is an ideal jumping off point for this leg of your journey because the swimming and surfing are great and if your surfing skills aren't the best, you'll have fewer people around to witness your antics if you fall off your board at this location. Make it a point to hire a kayak so you can say that you've met dolphins inhabiting this area up close and personal and if sky diving has made your bucket list, don't wait until you're too old to enjoy the view by indulging your inner flyer here in Byron Bay. When it's time to move on, a convenient and fascinating next destination is Nimbin that remains an enclave of 1960s thinkers. Latter-day hippies, free spirits and anti-establishment types flock here to mourn and celebrate the past, though if you have had your fill of beaches, you may wish to make Nimbin a short layover before moving on to Nightcap National Park where the diversity and splendor of peaks, waterfalls and wildlife are known to enchant visitors. Stick around awhile to capture the area's flavor for your memory and to snap lots of pictures of the region. A final sojourn to Sydney caps your New South Wales itinerary. Like arriving in Brisbane near the end of your Queensland tour, you could wind up a little shell shocked as you reintroduce your sensibilities to urban sprawl after having returned from the majesty of those Nightcap peaks and falls. It won't take long before you're in the swing of things, strolling iconic sites like the Sydney Harbor Bridge and the Sydney Opera House, both touristy by not-to-be-missed if you're to lay claim to seeing all of New South Wales. While you undertake your Sydney stay, find a hostel so you don't spend too much on lodgings and don't leave without spending a little time in and around the Darling Harbour area, indulging in some shopping and people-watching at outdoor cafes before you head out for your next destination. If you require an infusion of nightlife, you can find it here before you pack up your rucksack and make your way to Victoria. There are so many things to do in Sydney. It was probably unintentional, but visitors and residents alike often say that the resemblance between the architecture and environs of Victoria and that of England is remarkable when compared to the other states in Australia. True, this state was named for the iconic queen, but so are other places on the continent and you'll notice the similarities particularly while in Melbourne. There's a continental vibe pervading the city that could originate with sports-crazed residents of Melbourne who are so invested in Formula 1 racing and Australian Open Tennis, things can get both crowded and rowdy when matches and tournaments are held year-round! Attending any of these high-profile events will require some tight choreography and advance planning because unlike permanent Melbourne sites that are open year-round, athletic events take place on specific calendars throughout the year at sites scattered over large pieces of territory requiring buses, cabs or a car to reach many of them. Your Melbourne visit may compel you to put on some clean clothing if you intend to take in shopping districts, theaters, galleries and places backpackers tend to avoid (the shorts you've worn repeatedly are likely not trending), but even if you only want to give short shrift to this urban Mecca, don't skip Melbourne before you repair to nearby Phillip Island, a natural preserve for wildlife that is home to a nightly penguin parade that rivals the one held less often at the Glasgow, Scotland Zoo. From Melbourne, turn your compass west and set out along a 150-mile stretch of Great Ocean Road that offers you a long string of stopping points with scenic vistas and a wild variety of fascinating things to do and see. Expect to encounter surfer beaches interspersed by rainforests that could bring you next to a quaint fishing village or two. The sheer variety of things to see and do along the Great Ocean Road is a backpacking journey all its own. If you spot a rather odd-looking cliff formation, you will likely be in the vicinity of the 12 Apostles, a natural wonder that backpackers use as a landmark to estimate their travel distances. You are about to enter some of the most exotic environs Australia has to offer backpackers once you complete this 150-mile walk down the length of Victoria, so prepare yourself for more diverse scenery and encounters with wildlife as you mark the half-way point of your six-state itinerary and proceed to South Australia. Anticipate the usual mix of out back and urban towns when you cross into South Australia, a region of the nation that's small but mighty. Plenty of backpackers come to this area exclusively for a stay on Kangaroo Island. Walt Disney couldn't have given this place a better name and though kangaroos aren't the only inhabitants, the place is a Technicolor paradise with unforgettable scenery that has been known to serve as a base for trekkers who want a hub in the region and just like the feel of the place. A trip to South Australia without a stop at the state's capitol would be unforgiveable, but if contrast Adelaide, with aforementioned cities like Sydney and Melbourne you might be disappointed, so keep your expectations in check. This may be the fifth biggest city on the continent, but as urban meccas go, it's quaint by comparison, which is why so many backpackers find this to be their favorite capitol after they've returned from the coast, the bush or other areas that are sparsely populated. Do you love Australian wines? Vineyards in this region are big business and backpackers are always welcome at wineries, so whether you just want to see how one of Australia's biggest growth industry is faring, you want to sample whites, reds and roses or you simply lust after a state that has fewer congested and populated areas with less glamour, to be sure you could leave your backpacking tour after seeing all six states with a fondness for South Australia that can't be surpassed. By the way, in terms of time spent in this state, if you're trying to calculate how many days to allocate to each of the regions on your itineraries, South Australia gives you a nice balance of sun, surf, snakes and suburbia if your stay in the country is a matter of days rather than weeks and you don't require a city fix. Travel books on Australia tend to describe Ayers Rock in Uluru as an enormous earth mound set down in the middle of the world's largest island, but you might want to refer to this natural site as a great place to launch your tour of the Northern Territory. If you don't happen to be a rock hound, you could greet this site with a shrug as you cross it off your itinerary, but you will definitely proclaim the rest of the Uluru-Kata Tjuta National Park worth the trip, particularly if you have studied anthropology. Several spots on the island are considered to be sacred ground by Aborigines and if you believe in spirits, you might find this a sweet spot along your backpacking itinerary. Take in indigenous sites, read about this particular area's legends and don't be surprised if you meet up with other backpackers who have arrived in the Northern Territory strictly to spend their time in this national park. Camping is limited within the Uluru Kata Tjuta, so you will have to mosey down to Yulara if you want more choices. This resort area has all sorts of amenities in addition to providing space for camping. Once you've taken in the resort and environs, move on to the showcase of the Northern Territory: Alice Springs. This outpost is as isolated as it gets at 1500km from the nearest town and about 1200km from the oceans, but if you want solitude and you've experienced more beaches than any backpacker should be subjected to in one lifetime, settle down around Alice Springs and bone up on your history of indigenous peoples who call this state home. You'll be wrapping up your six state tour in Western Australia if you decided to use our itinerary as your guide, and in some ways, you will discover that the best is left for last. Western Australia is home to Perth and it's literally the only place to explore if you've decided to keep going on your backpacking adventures. The reason why? It's harder to get to and from Perth than any of the other capitals in the country, so you may wish to follow advice from fellow backpackers and travel writers: earmark around 250 Australian dollars to hop a plane from Alice Springs to Perth so you're fresh and ready for your last state tour. Perth may be a city, but it's as different from Sydney, Brisbane and Melbourne as Los Angeles is from Baja. You will find plenty of beaches, great bike paths if one of your goals is to tour from seat of a two-wheeler and there are plenty of nature preserves to provide your environmental fix, but there's something about backpacking around this area that's exceptional. It's the isolation. You get a few civilized amenities but it's like stopping at a place that's the only inhabited area in the world. Making Perth your final destination isn't a wise move if you intend to add a New Zealand extension to your adventure (Queensland's Cairns is in closer proximity), but it's the ideal place to collect your last thoughts and explore the final wilderness before you book a seat on any of the international airliners flying in and out of Perth to return to reality. Australia has great respect for students, explorers and people who visit the Land Down Under to experience natural wonders, folks who have no intention of making the social scene in major metro cities. This crowd is as happy with a bed at a hostel as out under the stars, and we would like to recommend some of these locations so you've a place to lay your head when you hit the bigger cities and wish to avoid high-priced hotels at all cost. You should know that these rates are averaged to the nearest dollar, reflect the per person, per night rate, and are subject to change at any time. You can visit our Hotel booking section right here and choose your own accommodation but to help you along your way we have researched and compiled a list of some of the more popular backpacker hostels. You've got a good idea for an itinerary, know what to watch for in terms of dangers and you've even got hints for places to bunk when you take a break from tents or sleeping under the stars, but without a weather roadmap things could get hairy for a backpacker touring the Australian continent. It's important to know more than just the fact that the country is located south of the Equator where the seasons are reversed. This means celebrating Christmas in the heat of summer and donning a parka in July. Anticipate a variety of situations that could require you to pack that parka and you won't find yourself literally or figuratively out in the cold! Australian Capital Territory During winter in the Australian Capital Territory you can grab the opportunity to indulge in downhill skiing once the Australian Alps develop enough powder to give skiers an edge. Snow falls throughout the winter at the highest elevations, but once January arrives, the thermometer swings upwards of 28 and 30 degrees C and it gets pretty hot. July in Canberra and surrounding areas requires a jacket since temperatures only average 11 degrees C and drop even further at night. There are nine hours of sunshine in Canberra daily during the summer and just five hours in the winter, so compare these fluctuations to countries around the world that are close to either of the poles. New South Wales. Expect time spend in Sydney and the surrounding coastal strip, highlands, flat country to the west and western slopes to remain temperate year-round, despite the diverse topography. There are more than 340 sunny days on record for New South Wales, so if you long to backpack in a perpetually sunny environment, sticking to this area makes sense. From December to February, summer can climb to a comfortable 26 degrees C, but be aware of the fact that this is the area's humid season and the air is so saturated, humidity readings can hit 65 percent. When winter comes, average temperatures only drop about 10 degrees to 16-degrees C. Bring rain gear if you plan to backpack New South Wales between March and June, because while few things are certain, getting caught in at least one serious rain probably more is something you can count on. Victoria. If you're familiar with Chicago where temperatures can change in a heartbeat, you'll be able to cope with Melbourne and other towns in Victoria. This area has a well-deserved reputation for weather that changes without warning. This state is home to several climate zones so you needn't leave Victoria to experience hot, dry regions in the northwest on the same day you traverse alpine-like snowfall to the east. The mountainous areas receive substantial rains and during the winter season from May to October you can count on experiencing downpours to showers of rain just about everywhere in the state. That stated, Melbourne is temperate, offering warm to hot summers, cool winters and both transitional seasons that are mild and balmy. Like New South Wales, temperatures don't deviate to extremes unless one happens to be backpacking in the mountains in winter. Anticipate around 25 degrees C in summer and 14 degrees C in winter. South Australia. Undertaking a backpacking journey within the state of South Australia isn't much different from the remainder of the continent. Average rainfall in summer January and February is slight and some years, you can spend the entire winter in South Australia without having a single drop of rain land on your backpack or head. Mild winters and hot, dry summers best sum up the weather you can expect if you spend time in the city of Adelaide, which has the dubious honor of being the driest of the six states. If you do crave rain, your best chances of getting some in Adelaide is in June. Winter temperatures hardly vary from the 15 to 16 degree C mark and in summer, you can double that number since the average high is around 29 degrees C.
Western Australia. Things can get sticky in Western Australia during the hottest month of the year (February) when temperatures top out at 31 degrees C and stick around for multiple days before "The Freemantle Doctor," a nickname given to the sea breeze that brings relief to much of the state, blows from the southwest. Typically, heavy rains arrive during the wet season (winter) and in summer, things get hot and dry. Perth happens to get a lot of rain between May and September, while Broome's rainy season extends from January to March. Temperatures throughout the state are always a degree or so above the others at between 27 and 31 degrees C in February, dropping to around 18 degrees C in winter. That said, temperatures rarely fall below 5 degrees C overnight, even during West Australia's coldest month. Queensland. Welcome to the subtropics when you arrive in Brisbane or travel to Cairns. Maximum temperatures during winter months around the city average 30 degrees C but the rain doesn't get heavy until summer rolls around when thunderstorms and powerful rainstorms blow through the region. If you've never experienced a typhoon, you may have that opportunity if you choose to backpack along the coast of this state between November and May! Humidity? Things can get uncomfortable, but as winter arrives, the region dries out and the air is mild and comfortable. As a matter of fact, winters days tend to be sunny in Queensland and temperatures linger around 17 degrees C, so despite what the calendar says, most people tend to have sunny dispositions thanks an average 245 days of sun, almost guaranteed by Queenland's Gold Coast weathercasters. Northern Territory. If you settle down in Alice Springs for a lengthy stay, you will experience more extremes in temperature than anything like Canberra, so prepare for it when you pack. Need we add that Darwin, at the top end of this state, has a dramatic rainy season between November and April that can include monsoon rains and storms? Take this into account if the Northern Territory happens to be on your itinerary during those months. Picking up bits of trivia as you traverse Australia is just one of the perks you'll discover if you take in major tourist sites profiled in books, popular magazines and guides. Be advised that you're going to visit a land that's home to wildlife, 80-percent of which can't be found anywhere else on Earth. This makes animal spotting one of the first reasons people visit. Some species are best observed from the safety of a zoological park, and there are many of these located throughout the nation. Find others living in terrestrial and aquatic areas and reserves protected by numerous laws. You might discover that kangaroo and koalas take a back seat to other animals that impress you more once you meet them! The Great Barrier Reef. Don't expect to travel the entire length of this wondrous system unless you have the time and wherewithal to walk 135,933 square miles off the coast of northeastern Australia. There are 400 types of coral on parade and 1,500 kinds of fish call the reef home. See them up close by renting or bring your own diving/snorkel gear. Expect to see dugongs, manta rays, sharks and loggerhead turtles keeping company with fish. Cod Hole remains a delightful experience for new and experience traveler: a guide can show you how to hand-feed giant Potato Cod if you stop here. Travel to the reef by boat from these four towns: Cairns, Port Douglas, Townsville and Whitsundays. Experience rainforests. It's no fable that rain forests come alive at night, so if you have opportunities to walk through these natural wonders, you'll miss half the action if you only show up during the day. Australia gets bragging rights to some of the oldest rain forests on Earth and UNESCO has declared enclaves in the northeastern part of the nation as World Heritage Sites. Rare animals like the Platypus and Lumholtz's Tree Kangaroo coexist within these forested areas with an assortment of python snakes, lizards and the elusive Australian cassowary. Veteran birders have been known to become giddy at the sight of so many bird species living within the confines of New South Wales Border Ranges National Park. You may wish to book a night excursion with an established guide organization like waitawhile.com.au if you decided on a nocturnal tour. Meet kangaroos and seals. The Seal Bay Conservation Park sprawls across the aforementioned Kangaroo Island in the state of South Australia thus the park remains the best place on the planet to see marsupials in the wild. But this island also serves as a huge habitat for a rare type of Australian sea lion, so while kangaroos can claim the island's name, these marine mammals are going to delight you. Given the delicate balance of nature, visitors must opt for a guided tour to see the seals if they hope to approach them on the beaches of Kangaroo Island. The Coral Coast. Assuming you have not yet had your fill of coral wonders after spending time trekking around the Great Barrier Reef, you can continue your education at Monkey Mia, a 664-mile section of Western Australia's Coral Coast. Feeding dolphins in this area is a touchy topic: These marine mammals have become habituated to snacks from park rangers, some visitors conclude that they can feed and pet them, too. Not so. Observe from a distance. When you are ready to depart, hike to Ningaloo Marine Park from the shore. If you are backpacking the area from April to June, you can indulge your fantasy of swimming with whale sharks. They're big, but they're harmless. Sanctuaries and Zoos. Some backpackers prefer to get their wild animal fix from behind a safe enclosure, which is why, despite having such a vast array of free-roaming wildlife on the planet, Australia also boasts top-notch zoos and reserves. The Lone Star Koala Sanctuary in Brisbane gives you both observation and interaction opportunities, so if you've always wanted a photo taken with a koala or you long to feed kangaroos, this is your chance. The Melbourne Zoo plays host to 3,000 animals living in natural habitats so you won't see a cage on premises. If time allows, a trip to the Australia Butterfly Sanctuary in Kuranda won't disappoint! This nation is a backpacker's dream because it caters to people whose idea of getting away from it all has more to do with a scenic patch of nature than a night out at the Sydney Opera House. The following campsites are a taste of what's available to travelers who don't want spend a fortune on lodgings. Some require a trailer (caravan) while others are happy to let guests pitch tents. Some are free. Others charge a minimal amount. Supplement these suggestions with listings in your guide book or contemporary listings on the Internet (e.g., http://www.australiancampsites.com.au/index.php/campsite-search.) where you can refine your search to find the campsite you require. Keep this in mind when you browse this and other lists: prices quoted below are Australian dollars and they are subject to change at any time. Menindee Camping. Free waterfront sites on Lake Pamamaroo. Amenities: Shade, toilets, bins, campfires permitted, peace, quiet and great fishing. Located 100 km southeast of Broken Hill. Cascades. Situated amid Wadbilliga National Park environs, this camp is just a short walk to the waterfall. No showers available but there are pit toilets and fireplaces plus picnic tables. Lots of wildlife in the area located 43km east of Cooma. Boyd River. Camping is free at Kanangra-Boyd National Park, but if you drive a vehicle to the campground, there's a $7 per day parking fee. Walk to the Jenolan Caves on the periphery of the park and take advantage of toilets, fireplaces and picnic tables, plus shallow water fishing. Location: 50km southeast of Oberon. Thredbo Diggings. located in the Kosciuszko National Park offers free camping but car park fees are pricey at from $16 to $27 a day, depending upon the season. There are no toilets or showers, but plenty of downhill skiing, bushwalking and mountain bike riding opportunities. Bursts of Alpine wildflowers in spring make it a photographers dream from January to March. Located 20km southwest of Jindabyne. Geehi. Also located in the Kosciuszko National Park, you will pay the same parking fees, but this campground is massive. Expect pit toilets, no showers and there are only a few fireplaces available. Swim and/or trout fish in the river located 31km south of Khancoban. North Gregory Hotel. Elderslie Street (behind the hotel). This is a popular place for backpackers to crash because it's free, there are flush toilets, hot showers and water. The site is located in Winton so campers can enjoy that town's amenities. There's a $10 charge if you opt for a powered site over an unpowered one. Lloyd Jones Weir Camping Area. There is no charge to camp here, but a donation box on site is happy to take your contribution. There are toilets but no showers. You must provide your own kindling and wood to build fires on site and there is fishing and swimming nearby. Location: 15km southwest of Barcaldine. Ilfracombe Caravan Park. Located on the eastern end of Longreach, this park is one of the few affordable campsites in this area. Located 27km east of Longreach along Lansborough Highway, find unusual attractions in the area including the Australian Stockman's Hall of Fame and Qantas Founders Outback Museum. The campground's proprietors serve free coffee and tea, sponsor happy hours and lure backpackers back by having a laundromat on premises. A powered site runs $17.50 nightly; $12 for unpowered sites. Extra people are accommodated at a cost of $3 each. Barcaldine Showground. Located at the eastern end of Barcaldine, this campground is a great choice if you like urban camping. It's situated not far from main street shops and adjacent to the town's swimming pool. Pay $14 per night for a powered van site or $9.50 for no power. Find flush toilets, hot showers, garbage facilities and pets are welcome. Dundubara Camping Area on Fraser Island (20km south of Indian Head) gives you an opportunity to camp on the world's largest sand island and enjoy beaches, creeks, lakes and rainforests for just $5 per person per night, but if you're driving rather than trekking here, a vehicle service permit is required at a cost of $38.25. Lots of amenities can be found here, including coin-operated hot showers, toilets, water and barbecue grills, but you must bring your own untreated firewood if you intend to make use of the communal fireplace. Johanna Beach. Free campsites on large grassy expanses adjacent to sand dunes make this a beautiful place to camp 4.7km south of the Great Ocean Road. Swimming and surfing can get dangerous because the surf is strong but less daunting is the scenery surrounding this campground where backpackers will find toilets and lots of serenity. Christie's Beach. located 5km east of Echuca, offers lots of places to camp along the banks of the Murray River and nobody will charge you a cent to pitchy your tent. There's swimming, fishing and toilet facilities and fires are allowed at some locations along this stretch of road. Mount Eccles National Park is situated 10km west of Macarthur (on Mt. Eccles Road). It's the consummate family campsite; an entire family can stay for $14 per night and enjoy hot showers, flush toilets and campfires. According to frequent backpackers, the best feature found here are cuddly koalas living in trees around the park. Site of an ancient but extinct volcano, you can also walk into lava tunnels and caves before swimming in Lake Surprise crater. Lightning Creek is a free-of-charge camping area that's locate 20km south of Mitta Mitta along the Omeo Highway. The tranquil area includes Lightening Creek, known for swimming and fishing. There are toilet facilities and fireplaces on premises. Riverview Family Caravan Park. If you've access to a trailer/caravan or traveling in a campervan rental, this listing is a good value for your money at just $22 per night for two adults (kids are free). Located along the Barwon River, Riverview is around 25km southwest of Geelong and close to the Ocean Grove Beach which offers swimming and close proximity to the town of Geelong. Watersports and fishing await backpackers most of the year. Long Beach. Located north of Kingston about 110km you will find Long Beach, a unique camping environment that offers more solitude than most because you can literally claim a long stretch of hard sand along the beach so neighbors are a distance away. Incoming tides are to be respected, so don't pitch a tent too close to the water's edge. Indulge in swimming and fishing while camping on this fee-free stretch of waterfront. Wilpena Pound at Flinder's Ranges. Prepare to spend $19 per night for an unpowered campsite that accommodates two people just 52km north of Hawker. If you're bringing the family, add $6 to the tab. There's a laundry and pool at this all-caravan park tucked into the bush. Build fires when there's no wildfire ban. The scenery is gorgeous and includes flat land, mountains and gorges, so if you draw or take photographs, you'll find plenty of inspiration here. Arkaroola at Flinders Ranges. Travel 600km north of Adelaide and 130km east of Leigh Creek to find this campground, which is truly off the beaten path. Two backpackers can book an unpowered campsite for $15 a night and while it's difficult to trek to this park, it's worth the effort due to access to a huge variety of wildlife, particularly birds, and fascinating geological wonders. Campfires are permitted. Swim in the pool make Arkaroola your jumping off point to indulge in mountain bike riding. Coward Springs. Looking for atmosphere and more? Travel along the Oodnadatta Track specifically 128km west of Marree and 73km southeast of William Creek to spend time at this self-proclaimed rustic campsite where backpackers not only find hot showers (assuming you contribute the firewood) but restored historic buildings that bring to life the area's old railway depot. A natural spa with thermal springs is a backpacker's equivalent of a Jacuzzi, so if you're in the area, this could be your favorite stop at just $8 per person per night. Parry Beach. Travel 29km west of Denmark on William Bay Road and you will happen upon a campsite that's become a favorite of backpackers revisiting Western Australia. At $7 per night, enjoy toilets and showers which are solar heated, so if this campground is crowded, it will be your job to beat others to the shower. These are shady, bucolic sites where campfires are allowed and swimming is in close proximity to the camp. Don't skip seeing Green's Pool if you stay here; it's a natural ocean pool that offers terrific snorkeling. Cape Riche. This campground, located 115km northeast of Albany, is a bargain-hunter's dream. Even though the showers are cold, they are available to backpackers, in addition to toilets and water, for only $5.50 per person per night. The water views are spectacular as is the swimming and fishing unless the weather happens to be windy in which case you will want to repair to your vehicle or batten down the tent. The Blowholes. If you're traveling northwest of Carnarvon (specifically 73km north and 49km west of the highway), you will run into this beautiful campground that costs just $5.50 per person per night. Find a wide variety of opportunities to explore the area, including a pristine lagoon for snorkeling, fishing, beach walking, swimming and turtle spotting. The Blowholes attracts marine wildlife so you may spot unusual species here. There are no showers, but there are pit toilets so the trade-offs might be worthwhile. Conto Field Camping Area. Conto Field is located in the Leeuwin-Naturaliste National Park, about 18km southwest of the Margaret River. Campsites are on a beautiful bluff overlooking the coast. Gorgeous beaches make this a great hub for backpackers eager to explore the entire Margaret River region. Plan to pay $6.50 per night per person for a campsite that includes use of toilets, barbecues and firewood. No pets are allowed, so if you're traveling with a four-legged friend, you'll have to pass up this site. Ned's Camp. If you intend to spurge on the occasional extravagant campground, Ned's Camp, in the Cape Range National Park, is a good choice. From this base, you can explore the Ningaloo Reef. Swim with turtles, stingrays, sharks and dugongs or relax in an environment that's conducive to catching your own diner. Ned's is situated on the northern boundary of the park, about 36km from Exmouth. Here's a bonus, if you don't want to pay $17 a night to camp here, there are 10 other campgrounds in the vicinity that don't cost a cent. Kookjaman. For some reason, this campground has two names, so if your guide book refers to Cape Levenque, it's the same place, located around 208km north of Broome. Compared to other campgrounds at $16 per person, this might be over your budget (add $5 if you want a power-supplied site) but you won't see a trailer/caravan on site because they're prohibited. Enjoy flush toilets, hot showers, free firewood and a menu of guided activities if the spirit moves you. During the dry season, Kookjaman books fast, so keep that in mind. Ellery Creek Big Hole. If you travel 88km west of Alice Springs, reach West MacDonnell National Park where affordable camping awaits. At $3.30 per night per adult ($7.70 for a family of 6! ), stay at a campground with flush toilets, gas barbecues and an adjacent swimming hole. Bring firewood if you wish to make a campfire, but otherwise, spend your time checking out the scenery. Wangi Falls in Litchfield National Park promises an adventure that any backpacker craves: this is bat area and you can view the marsupials doing what bats do when their nocturnal recreation time arrives. Find this campground 1.4km east of Litchfield Park Road and 66km west of Batchelor. Per night fees are $6.60 per adult and you get access to cold showers, flush toilets and a nearby watering hole. Did we mention bats? Attack Creek. The name might scare you away but this rest area in the vicinity of Stuart Monument makes a nice stop-off if you're traveling 47km north of Three Ways or 87km south of Renner Springs and just need a place to overnight. There's no charge to use the facilities that include toilets, picnic tables and water. There are plenty of historic sites within this area, so that overnight could turn into a longer stay if you don't mind pitching your tent close to the road at this rest area. Ayers Rock. Backpackers traveling the Northern Territory should know up front that the Uluru-Kata Tjuta National Park is a spectacular place to sojourn, whether you've a car or a tent, but this is not necessarily the place for travelers on a tight budget. Ayers Rock is the only campground within this park and if you wish to see archaeological wonders for which this area is known, the $17 per night fee per adult ($19.50 if you need power) could be worth the money. But here's a tip: There's a free rest area 25km outside the park that's a favorite of backpackers who don't need amenities. Pitch a tent at the rest stop and spend your money elsewhere! Hospitality. Plan to focus your job search on urban areas where the sheer numbers of restaurants, pubs, bars and eateries in need of temporary staff exist. Your best bets to land a gig are Sydney, The Sunshine Coast, the Gold Coast and Whitsunday Islands, known for attracting tourists, Australians on holiday and the party crowd. In general, hospitality jobs can run from cooking and tending bar to bussing tables and janitorial work. If you have experience in the hospitality industry back home, your chances of being hired increase. Recreation. The ski season from June to October provides opportunities for those with some knowledge of winter sports to land a seasonal or part-time job, particularly in these areas: Victoria and New South Wales. Popular resorts include Thredbo, Selwyn Snowfields, Falls Creek, Mount Hotham, Mt. Baw, Mt. Buller and Perisher Blue. Use the internet to locate them and search for job openings before you travel to any of these locations. By the way, you should become familiar with a term found only in Australia: WWOOFing. This program matches labor with farm owners, so workers trade labor for free room and board. This work is usually limited to farms. Agriculture. Fruit pickers are in great demand in Australia when harvest season arrives, but be aware of the fact that not every state has the same harvest season, so it's possible to travel from state-to-state to string together fruit picking work once you've obtained work permits. Thousands of seasonal workers are needed, so your chance of being hired surpass many other industries, but if you're not cognizant of harvest times and regions, all of your hard work scoping out jobs could be for nothing. January to July: Grapes, citrus, apples, pears and vegetables are ready to be picked in Tasmania, New South Wales, South Australia and Victoria. You might also inquire into vine pruning at vineyards because there is also a demand for workers able to undertake this job. April to June: Pick citrus, apples, bananas and tomatoes at farms, ranches and nurseries located in Southern and Central Queensland. There may also be opportunities for temporary workers to pack fruit for shipment. June to October: Travel to Victoria or New South Wales or stick around Queensland if you happen to be there already to help harvest citrus, bananas and vegetables and/or pack and crate crops for domestic consumption and export. September to November: Strawberries, cherries and vegetables require picking, packing and shipping as Australia's summer arrives in the Northern Territory and Northwestern Australia. If you follow the migrant farmworker route, verify the remaining time you have on work papers to avoid having your documents expire. November to January: Round out your year of agricultural work with a stint on New South Wales or Queensland farms where blueberries, cherries, citrus, melons, vegetables and bananas grow. Fishing. The coastline surrounding Australia is awash in fishing and aquaculture businesses, but skills required to undertake work associated with fishing may require you to show that you know something about the industry, so gather recommendations and bone up on the Australian fishing scene before you make inquiries. Ranching. If you've watched movies about Australia, you know that the nation prides itself on cattle and sheep ranching, industries producing everything from wool to meat. Rural sheep stations and cattle ranches may be an option, but only if you use an employment agency or have connections. Non-labor jobs. Turn your backpacking experience into a temporary work situation by exploring classified ads on internet sites to see if you qualify for openings in offices, retail, customer service and warehouse production areas. If you like children, agencies can match you with families seeking au pairs, but be aware of the stringent background checks associated with such jobs as well as stiff international competition. Your best bet is to register with a licensed agency placing nannies around the globe. You've already isolated and bookmarked parks, sanctuaries and preserves you won't want to miss while backpacking around Australia, but ignore the nation's exciting calendar of special events and festivals and you will miss having the full Down Under experience. The sheer number of annual festivals and events staged throughout the nation is daunting, but the most high-profile among them is included on our recommended list and ranges from high-profile sporting events to the glamour and glitz that accompanies religious and secular holidays. January. The biggest football tournament Australia has ever hosted opened on January 9, 2015 and continues until the end of the month. Tournament-specific matches were spread across the continent and included Canberra, Newcastle, Sydney, Brisbane and Canberra. Half a million football fanatics cheered on players from 16 nations during the 32 scheduled matches. Those who have no taste for football may avoid these epicenters in favor of the Santos Tour Down Under, the region's most popular cycling race through the vineyards of South Australia. Still not interested? Take in the last large sporting event on Australia's January calendar by heading to Melbourne for the Australian Open tennis tournament or opt for Sydney Harbour where the nation's birthday is celebrated every January 26th with enough parties to satisfy even the most jaded backpacker. February and March. Ever seen a cricket match outside the Downton Abbey episode that showcased this popular sport? Be on hand for the ICC Cricket World Cup hosted by Australia from middle February through March, starting at the Melbourne Cricket Ground. Like the aforementioned soccer festival, cricket matches are spread out to attract the most number of fans, so if you plan to backpack around Perth, Adelaide, Brisbane, Hobart or Canberra during this time period, you might happen upon a match to add to your memories. But let's say that you get all of the sporting activity anyone could want by backpacking around the nation you may still want to celebrate the nation's food and wine industries by making it a point to attend the Melbourne Food and Wine Festival where you can indulge your palate for 17 days of culinary magic beginning on February 27th. April. As fall approaches Australia, you may seek activities and events that keep you closer to a hostel than a campground, so landing in Sydney this month gives you close proximity to the Handa Opera on Sydney Harbour running between March 27th and April 27th. It's still late summer so Sydney's iconic skyline serves as the opera's backdrop and the array of bars, restaurants and pop-up eateries will impress you, even if you dislike opera. Festivals scheduled for April may strike your fancy, so look into attending the Sydney Royal Easter Show at the Olympic Park in early April or move on to Byron Bay where Australia's most beloved music showcase, the Byron Bay Bluesfest, attracts stars from around the world. May and June. As winter approaches, there are fewer festivals on Australia's events calendar, so take advantage of your time in Sydney by taking in Vivid Sydney between May and June. The world's most creative artists literally transform the entire city using unique materials and techniques to lavish areas with art forms that may not be seen elsewhere in the world. From interactive light sculptures to giant images projected onto building walls, lectures, exhibits and programs, this unique experience should be counted among your "don't miss" activities if you're an arts fan when you lay out your early winter itinerary. July. Sure it's the middle of winter but early July is the perfect time to take your backpacking adventure to Australia's Gold Coast where the Southport Airport Marathon turns the landscape into a runner's paradise. You don't have to participate if you don't want to, but you owe it to yourself to indulge in some of the circuses surrounding this huge vent where 65-percent of all participants set new personal bests. Theme parks and nightlife beckon if you're up for ditching your backpack temporarily. September. Don't avoid Canberra during this time of year just because winter isn't exactly a welcoming climate for backpackers. Show up between mid-September and mid-October to experience millions of tulips and annual flowers bursting into life at Floriade, Mother Nature's gift to the city. This phenomenon leaves visitors speechless and people from across the globe visit to see it for themselves. Experience more of spring's majesty at the park overlooking Lake Burley Griffin. Canberra hosts NightFest for five nights every September. October. Event planners in New South Wales has captured the market on good eating by establishing an annual homage to all things culinary during Good Food Month that spans October. New South Wales already boasts a world-famous food scene during the other 11 months of the year, but in October, food is king and everybody knows it. From chefs to restaurants, food stalls and pop-up eateries, the state becomes Mecca for foodies, so if part of the reason you're backpacking around Australia has to do with losing some weight, steer clear. From street fairs to glamorous parties, night markets, food symposia, kitchen and garden workshops, New South Wales won't let you go hungry, no matter your budget or tastes. December. There's a good chance you've seen New Year's Eve televised from Sydney's Harbour and perhaps one of your goals for visiting is to be on hand for the fireworks in person. While the festivities sprawl across the city on December 31st, you don't have to book a table at a posh eatery to get into a festive mood because you'll see fireworks from most places in the city. Compete in the World's Largest Race by showing up at the Sun-Herald City2Surf 14km marathon! Sure it's a daunting trek, but other runners will race by your side on 9 August 2015 for one of Sydney's most challenging endurance races plus the parties surrounding the event. If you've been backpacking all over creation, your legs and body are likely conditioned enough to keep you going for some of the distance, but even if you only attempt part of the route, don't you want to tell your grandchildren that you once participated in the world's largest race? Learn more about Jane Austin than you ever imagined by showing up at the Jane Austen Festival Australia (JAFA), an annual pilgrimage to Canberra made since 2008 by the author's faithful fans. It's a three-day event staged in mid-April that always features a theme. For 2015, it's a tribute to the 200th anniversary of Napoleon Bonaparte's Battle of Waterloo, so if you own French costumes from that era, you won't stop traffic if you don one to show up for Jane Austin films, horse and carriage rides, archery competitions, musketry displays, sewing workshops, plays and three grand cotillion balls. Some events are by invitation only, but there are plenty of other things to do that don't require your RSVP or a pair of elbow-length gloves. Anyone concerned with Australia's indigenous peoples will want to think about participating in The Long Walk, a historic trek paying tribute to Michael Long's travel by foot from the suburbs of Melbourne to Parliament House in Canberra a journey of more than 650 kilometers. His mission, calling the government's attention the plight of indigenous Australians, has grown dramatically since the 2004 walk and attracts people from all walks of life eager to support aboriginal and Torres Strait Islander Australians. Around 16,000 people undertook The Long Walk in May 2014; 2015 is expected to draw more crowds made up of residents and tourists alike. If that describes you, plan to walk or just show up to see how dramatically this event has grown. The Adelaide Fringe Festival isn't your father's film fest hence the descriptor "fringe". Around 800 events take place at venues throughout the city, so you can get your fill of entertainment in just one location without having to pull up stakes or abandon your hostel room. The city shuts down to host cabaret, dance, film, visual arts, puppetry and music performances that run the gamut from silly to serious, so if you're looking for an annual event that takes place in either February or March, show up or don't complain about losing what may be the only time of your life you have an opportunity to choose from 800 entertainment experiences. The Clipsal 500 is more than a car race; it's the AVESCO V8 Supercar Championship, a spectacular event hosting an average of a quarter million people each year in either February or March. Victoria's Park Racecourse is the scene of the races, but that doesn't mean that you can't meander into the city for the Clipsal 500 Adelaide street parade, take helicopter rides, collect the autographs of winners and losers and enjoy celebratory dinners arranged by restaurants to celebrate this huge event. Lots of women prefer to roar these days not just Katy Perry, so if you want to hang with more women than you've likely ever seen in one place come March, show up at WOMADelaide, a celebration of culture, music, the arts and all things estrogen related at the city's beautiful Botanic Park. This event has been staged since 1992, so it's no newcomer to the festival scene. Grab tickets to concert performances by all types of female bands (rumor has it some guys perform, too), attend workshops, nibble your way through food stalls and if you're toting kids, turn them loose within the confines of the children's play area so they have fun, too. The Royal National Agricultural (RNA) Show Day in Queensland is a big deal which may be why there's always a big to-do over what day to hold the event. Usually, it's on the second Wednesday in August, but if there are five Wednesdays in August, it's scheduled for the third Wednesday. Got it? Pick the right Wednesday and you're in for a treat: show up in Brisbane and discover why the town schedules a full week of events that can attract more than 600,000 visitors. Amusement park rides, fashion shows, entertainment pavilions, craft and food stalls plus a spectacular parade entertain young and old alike, but it's the Ekka cattle, dog, horse and sheep competitions that win attendees hearts. For some reason, there are separate categories for sheep, dogs and sheep dogs, so if your desire is to see only one, check with event organizers so you show up at the right venue. To scope out the Gold Coast Airport from the sky, you wouldn't think it was much of a transportation Mecca more an oasis of compacted earth that stretches for miles, thus offering a smooth set down if one lands in this part of Queensland. But every July, the airport becomes one of the world's biggest holiday destinations: tens of thousands of people flock to the Gold Coast Airport Marathon for a grueling 42.2km race that tests the mettle of even the most seasoned runner. Sure, there are "fun runs" for those only willing to undertake a 21.1km half marathon and if you'd like to use your kids as an excuse for not participating, there's a short event for children over the age of two. Social events held in conjunction with this epic event include a sports and leisure expo, seminars, dining events and beachfront parties since the run route includes the Pacific Ocean shoreline. In October, a young man's fancy may turn to the coming of spring in Queensland, but for movie buffs, the Australian International Movie Convention is the big draw along the Gold Coast. For the star struck, the wannabe director, the fledgling script writer or diva, this is an awsome event: the AIMC is the only event on the Australian film industry calendar that promises the ultimate in networking, innovation and movie previews of the latest and greatest international films, thought the biggest draws are those produced in Australia or by Australian filmmakers. Australia's hottest stars show up to screenings, fancy dinners and red carpet events, so if you've longed to spot Nicole Kidman and Keith Urban, this could be your opportunity. Bring your autograph book, a portable stool and water if you intend to queue at the rope line. The Darwin Beer Can Regatta may be the single most pleasurable festival on the Australian continent, let alone the Northern Territory. The Combined Lions Clubs of Darwin come together to make good use of empty beer cans, and have been doing so for 30 years. Any contestant wishing to build a boat of empties is invited to do so. According to organizers, "seaworthiness" is a loosely bandied about term, so if you'd rather watch from the shore of Mindil Beach or help empty cans for contestants so they don't run out of building materials, take in the beach parties, tug of wars, the thong-throwing competition (that's flip flops not lingerie) or just sit around eating and waiting for the annual beauty contests. Drunkenness and debauchery notwithstanding, conservationists likely applaud what could be called the ultimate recycling effort at the regatta each July. The Tjungu Festival kicks off at the end of April and it could be called one of the nation's most family-friendly, four-day cultural festivals. Among the parties and celebrations staged at this event include sports meets, interactive markets filled with indigenous art and "bush tucker", music and performances reflecting the area's cultural history and the highlights of the festival: The Tjungu Fashion Parade, Short Film Festival and "the engaging and uplifting AFL Tjungu Cup". If you've never eaten bush food, this is your opportunity to indulge in food sampling under the stars. These exotic dishes are a big draw at this annual festival and, according to organizers, well known artists and ambassadors also show up to add a little glamour. If you've ever dreamed about viewing a mud racing competition, you can make that dream come true each February when vehicles race through deep mud and water at the annual Top End Mud Racing festival. It's loud, exciting and filthy, thus a terrific outing for kids if you're sick of telling your youngsters to please keep their clothing clean. This is the event you choose when their outfits are ready for the laundry! VW Beetles and other "Top Gun" vehicles compete with each other and the clock for prizes as they splash through a 700 metre course that promises not to spare the clothing of those nearest the action. Food and beverages including booze are served, but if you plan to sit rather than stand through the races, bring something to sit on. If you happen to be walking along the seashore on Cottesloe Beach, don't think you've had a reality break if you spot a gathering of spectacular sculptures stretching across the sandy beach. You've arrived at the March Sculpture by the Sea festival of art that brings huge, gorgeous original works out of the gallery and onto the seashore. This is the 11th annual sculpture party and one of Perth's largest free public events, so your opportunity to see the work of some of the world's best sculptors awaits you. The exhibit usually has around 70 pieces on display and you can spend all the time you like taking them in since they aren't removed for weeks. The Festival in the Forest is the ultimate in medieval celebrations and if you attend the Balingup event in August, a costume is not just appropriate but welcome. Listen to flute, lutes and fiddles, visit old time market stalls, enjoy street theater and the carnival atmosphere of the annual dress up party. Authenticity is the name of the game so if you like your festivals modern and contemporary, you might wish to take a pass on the 14th Annual Festival in the Forest. On the other hand, where else will you have the chance to address everyone you meet as M'Lord or M'Lady? It's usually cool when this festival is held, so a sweater makes sense or just rap yourself in the trappings of a cloak purchased from a clothing stall and you'll be right in style. The November Bridgetown Blues Festival makes a terrific way to wrap up the year and if jazz and blues are your favorite music genres, you'll feel right at home at this event. Performers run the gamut from new groups to name bands and everything in between, and there are so many acts scheduled for this annual event, it's only a matter of time before a group you're not wild about yields the stage to one you love. It's been known to rain at Bridgetown, but faithful fans tote umbrellas and buy plastic festival ponchos to escape showers. Follow suit if you prefer open air venues to indoor stages. Pubs are scattered around town to satisfy thirsty festival goers. Sample freshly brewed cider and signature dark beer and there are plenty of places to park caravans, erect tents and hang with fellow music lovers. Did we mention the dark beer? At the beginning of this guide, we ball-parked a projected budget based on one travel expert's experience at around 5,000 Australian dollars, but if you require a more exact breakout to decide whether or not you can afford to take a backpacking trip around the continent. The following should help. Currency exchanges can help you convert your home currency into Australian dollars, but you may wish to wait for stops at towns and cities where banks could offer you a better exchange rate. The following information uses US dollars to quote rates. Lodgings. As you already know from the estimated hostel charges we cited, you can expect to pay from as little as $17 and as much as $35 to claim a bunk for the night. If you require more luxe accommodations, plan to fork over between $65 and $100 nightly. Given this diverse price range, compare rates frequently as you could book a budget room with double bed and shared bathroom for around $80 nightly, and you likely get a TV and breakfast thrown in? On the other hand, some hostels and budget hotels in Australia will let guests "work off" their room charge, so if you have a chance to pay for part or all of your bill by cleaning your room, think it over. Food. Your dining tastes and proclivities are unique and you can expect to run into every type of dining experience crisscrossing Australia with your backpack. Stopping at small shops along your route to pick up bread, cheese and fruit may be your best bet if you are trying to save money or have special diet requirements. That said, an Australian interviewed about his weekly supermarket expenditures says he pays from $70 to $80 per week for groceries and his shopping list is basic. You can conclude that, in general, food is expensive in this country, despite the fact that the land yields an infinite variety of produce and there are enough sheep stations and cattle ranches on the continent to make supplies readily available. Average restaurant meals for simple fare are around $17.50 but if you stick to family style meals served at many hostels, you can trim your budget down to around $6 per meal. A sandwich bar or fast food eatery can set you back $10. Many backpackers rely upon a combination of grocery stops and hostel-prepared meals for sustenance while they are out on the road. Finally, wine fans, rejoice. Drink goon (box wine) and save a fortune over bar drinks and cafe beverage menus. Transport. The most economical way to tour all of the states in Australia is to purchase a bus pass, here you can get a flexible hop on hop off Greyhound coach pass. 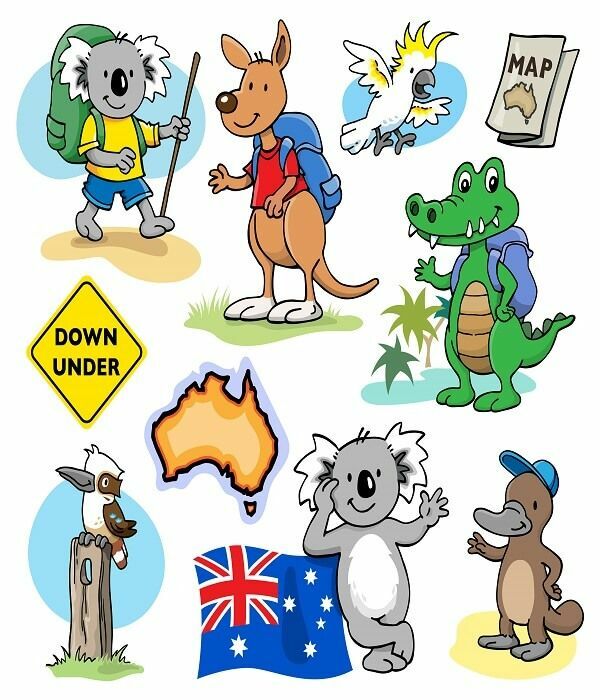 Another great option is Australian Rail Passes or locate a backpacker bus line like the OZ Experience. This unique transportation option isn't found elsewhere on the planet, but it's an homage to Australia's general support of backpackers so travelers can experience as much as possible. The Oz "travel anywhere" pass costs around $300, but it could be your ticket to assured transport throughout your stay. Local city buses in larger towns run $2 to $3 per ride. Rail passes can range from $450 to $800. By the way, if you're traveling with companions, an option is to rent a camper-van and split the cost. At $45 per day, if you can sleep in the camper van you rent and save on hostels, too. A final word on hitchhiking: Once a favorite way to get around Australia without spending a cent, this transport method has achieved new heights thanks to the Internet. Use sites like Gumtree or Jayride to find travelers going in your direction or simply check bulletin boards at hostels to find free rides with others. Circuses. There's no estimating your capacity for sightseeing if you plan to take in the flavor of Australia on your journey Down Under, so it's important to use the Internet wisely to find out, up front, what park, zoo, attraction, sporting event and festivals charge for admission and stays before you arrive. Just about all of the places listed in this article are open to backpackers for their own exploration, but each also offers day trips that cover multiple activities and tours and these are very pricey ranging from a $170 USD one day trip to the Great Barrier Reef to $400 USD mini-tours to destinations like Uluru-Alice Springs. Communications. Visitors to Australia who must wish to stay in touch with the folks back home recommend Telstra, a phone company that serves the continent and offers phone packages to travelers that can save a lot of money over other options. Telstra once had a bad reputation in this service arena, but it's improved. Telstra offers what may be the biggest bargain on the planet: spend $100 on calls and texts and receive $1900 worth of credit. Compared to food, call and text rates in Australia are cheap, but remember that reception could be dicey in some areas of the country. Australia is late coming to the free Internet party, but you can find free wi-fi at libraries and McDonald's across the continent so keep an eye out for those golden arches. Travelling by campervan in Australia is very popular amongst backpackers. Once upon a time, backpackers relied on maps, calculators and compasses to plot routes from area to area, but times have changed, you can compare and hire a campervan in Australia right here with us, we have the cheapest campervan hire covering Australia and worldwide. Most campervans now come equipped with modern day facilities such as GPS and electronic mapping technology that requires nothing more than pressing a few buttons, inputting parameters (the names of the departure and destination points) into dialog boxes and voila! you are of in your motorhome around Australia. Please make sure if you are planning a trip by campervan that you make sure your well equipped with supplies and if you happen to head off the beaten track ensure you let someone know where your going and try to stay out of the treacherous conditions such as sand and mud, campervans are not built for this. You may also want to consider checking out our car rental section where you can compare car hire prices for just about anywhere in the country and get some of the best deals at very affordable rates. Whatever you choose, a campervan or car rental be sure you are aware of the incredible size Autralia is. To give an idea of the vast distance between the most frequently bridged places in Australia we have compiled a list below so you can see if it's feasible to set an itinerary that's practical and efficient for taking a campervan. Grab a map and use it as your visual guide. Backpacking across a continent that's as vast as Australia is arduous enough without trekking to a site that proves disappointing. That's why we've included mention of a few locations you might want to skip if your time and money are limited. Of course, you might find an experience on the following list to be so memorable, you not only go but send fellow backpackers there. The Big Potato. New South Wales is home to Robertson, where a gigantic potato sculpture has been erected as a tribute to that area's major industry. It's ugly and has acquired various unflattering names, but if you happen to collect photos of odd and strange sites, a trip to Robertson. If you're already in New South Wales you may make your list of not-to-miss sites. More Big Things. If Robertson's Giant Potato piqued your interest and you want to see more oversized objects, travel the Pacific Highway to Coff's Harbour where a gigantic banana awaits your inspection. There's an equally impressive pineapple in Nambour and the largest prawn sculpture in Australia is located in Ballina. The Venom Zoo. You may have had your fill of snakes in the outback, but if you can't get enough reptile-related experiences, the menagerie at the Kuranda near Cairns sounds like a good bet. Truth is, tourists find the dingy collection belongs more on lists of attractions to miss than see unless your desire to have a photo taken with a python draped around your neck is enough of a draw to get you here. The Hippy Capitol. Backpackers travel to Nimbin from Byron Bay to experience the edgy vibe that's billed as an homage to the counter-culture by many travel guides, which is why it is included earlier in this guide. But a few backpackers say they've visited and were disappointed, which is why Nimbin is on both lists. The Cook's Cottage. Captain James Cook is a hero to Australians, but the house transported from Northern England to Melbourne's Fitzroy Gardens could disappoint you if you're a history buff who doesn't like being fooled. True, the cottage was shipped to Australia brick-by-brick and faithfully reconstructed on site, but rumor has it Cook never lived there. The UFO Capital. Wycliffe Well in the Northern Territory is Australia's answer to Area 51 in the U.S., so if you long to catch a glimpse of little green men or other alien beings, your best bet is a visit here. There's a roadhouse to tour and plenty of places to camp on the Stuart Highway leading to and from this UFO Mecca. The Cockroach Races. Clever Australian entrepreneurs hoping to make buck from infestations of cockroaches along the Brisbane River introduced cockroach racing in 1981. The Story Bridge Hotel in Brisbane has been the attraction's "headquarters" ever since. Anyone can enter including you. If you don't happen to have a specimen, you can buy one at the hotel, which begs the question about whether staying here makes sense. We hope you and others can benefit from this guide. Bare in mind with the help of you, media coverage and the social media scene this comprehensive guide can make a difference to people just like you looking to backpack around Australia. We would love if you could share this guide with your friends, your family and of course other fellow travellers who are looking for more information. Equally if you have any suggestions on improving this guide we would be happy to hear from you. Please include attribution to https://www.compareandchoose.com.au with this backpacking article.